Director of Music Together in Geneva Center. Hi my name is Ceri. I am a professional musician from England. I moved to Geneva last year and was lucky enough to find the Music Together® family. 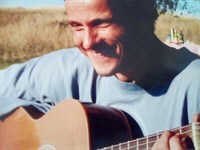 I have a degree in Jazz Guitar from the Royal Welsh college and a diploma in popular music from Guitar X London. I record and compose my own music and have recently made my first EP. I have always been involved in music in one way or another and now I am thrilled to be able to pass on my enthusiasm for music to the families of Music Together. Dancing and singing, always seeking and delighting in the world. Kasia - originally from Cracow, Poland. Graduated from the Pedagogical University, a foreign languages teacher and educator. She is also a Lindy Hop swing dance teacher. In all her work with children and adults, from the classroom to the dancefloor, with passion, she is always teaching and smuggling elements of music. Kasia’s deeply into music, discovering and being open to new sounds and rhythms. Since her childhood she’s been actively participating in all kinds of artistic events as a member of dance, vocal and choir groups. As a dancer artist she is open to other dance techniques such as slavic, ballroom, rock’n’roll, boogie woogie, tap dance, tango, blues, dance hall, afro dance as well as relaxation and body awareness techniques. Pilates enthusiast. When travelling around the world she constantly learns and rediscovers an irresistible rhythm, joy, energy and fantasy that music brings together. I come from Slovakia. I am translator of English and Russian. Music made always part of my life. In my home town in Slovakia I studied Slovak and Hungarian traditional music but mainly I learned traveling all around the world. In the year of 2000, I came to Geneva and I studied 4 years at HEAD, Geneva School of Art and Design, where I enjoyed working with sounds. Little by little I realized that music was the most important project in my life and I put now all my energies into it. I may say that I am a multi-instrumentalist musician playing guitar, harmonica, flutes, percussion and I sing. When my son was born I strongly felt the motivation to share and introduce the music to the children. That’s the reason why I happily joined Music Together Team in Geneva. Sophie Evans is a British mum of two whose Music Together journey started in Zurich three years ago when she began taking her own children to music class. Sophie, a keen amateur violinist and singer, fell in love with the Music Together programme, and set up her own school Music Together Alpine a year later to serve the local community in Zug and beyond. 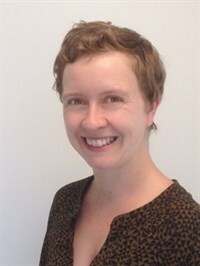 At the beginning of 2019 Sophie and her family relocated to Nyon and she very excited to bring her passion, energy and enthusiasm to more families and their children. Sophie has received her Advanced Certificate (Violin) from Royal Associated Board of Music in the UK and was also a founder member of the Birmingham Conservatoire where she majored in violin. Sophie studied at Oxford University and was a member of the Oxford University Chamber Orchestra and the Oxford Philharmonia. Chelsea is an elementary music specialist who moved to Switzerland from America with her family in 2013. She has a Bachelors and a Masters of Music Education for Baylor University in Waco, TX, USA. Chelsea has taught elementary music in public schools and co-founded a program focusing on students with special needs, Oso Musical. She is now spreading elementary music education experiences by joining the Music Together in Geneva team. Chelsea will do her training in June and will normally start teaching in the summer of 2017. 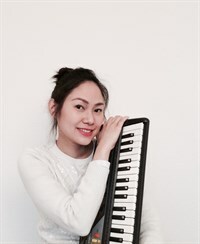 I am a piano and music group teacher from Bangkok, Thailand, teaching children and adults alike. I hold a Bachelor Degree in Western Music (majoring in piano performance), and a Master Degree in Non-formal Education. With 13 years of work experience in the field of Music, I worked for a university, many music schools, and also worked as an independent 7 days a week. I would say that Music is my life! In 2012 I moved to Geneva with my husband. After 9 months learning French I began my work as a piano teacher until I found Music Together in Geneva Center, and had an opportunity to become involved in a teacher training program. Everyday I enter the classes I feel so happy and excited! Originally from Coimbra (Portugal), Joana holds a Communication Sciences degree from New University of Lisbon with a specialisation in Marketing. During her nearly 10 years of international experience as a communications professional, she has worked specially with non profit organisations and educational institutions. Joana moved to Switzerland in 2013 by herself following her dreams of discovering the world and learning new languages. She speaks 4 languages fluently at the moment :). It was in Geneva that she discovered her passion for children and their development while working as a nanny. 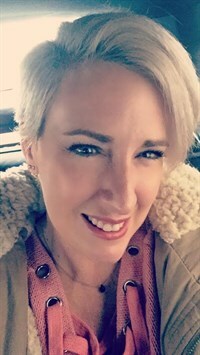 Joana co-founded the Swiss Nanny Association, a non-profit organization dedicated to increase nanny's professional standards in Switzerland, by offering professional development courses and to help families and nannies to better understand the laws related to employing a home-based childcarer. She is responsible for the branding, all communications and partnerships. Joana has now joined the Music Together in Geneva Center team to bring a new perspective and energy to their communication strategy and partnerships. 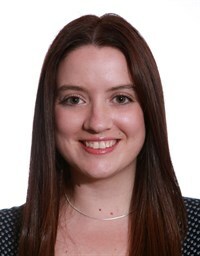 She has lots of fresh ideas and will be working closely with Robin. Joana is not a musician but a music enthusiast that looks forward to working with such dynamic team of teachers.